A Complementary Teaching Activity for Food Security and Healthy Eating Behavior Change in a Community College. Food insecurity and poor eating habits among college students and their implications have become important subjects of both academic research and practical interest for administrators and policy makers. Community college teachers in the field of nutrition, public health and healthy lifestyles are often confronted with a divergence between the theoretical and practical contents of their courses and the actual wellness and lifestyle practices of their students. Since many of these students are future health care providers and public health promoters as part of a trend to diversify the health care workforce, this issue now takes on a particular relevance. This article describes how a food and garden club, in association with a human nutrition course in a very diverse community college population, has addressed these problems and has been instrumental in effecting change in the dietary habits of these students from a high-risk urban community. Hostos Online Learning Assessment (HOLA) Follow-Up: Student Perceptions in Two Cohorts. This article is a follow-up article to our 2016 publication in this journal. The authors examined data from two cohorts, Fall 2015 and Fall 2016, to assess the stability of our survey results and learn more about student perceptions of online learning at Hostos Community College, an urban Hispanic-serving community college. Faculty have been working with the Office of Educational Technology (EdTech) as a task force to measure students’ perceptions of their online learning experiences since 2015. The Hostos Online Learning Assessment (HOLA) Task Force designed a survey to identify strengths and weaknesses in online teaching and student preparedness for online learning. Understanding these perceptions is crucial in order to build upon current best practices. Despite limitations in our sample size, this follow up study found great consistency of student perceptions across both semesters. We continue to assess student perceptions annually at Hostos Community College in order to continually improve our online teaching and learning environment. Student perceptions of online learning are integral to building upon current best practices and also gauging the preparedness of the students for the online learning environment, particularly in an urban, Hispanic-serving community college (Wolfe et al., 2016). Hostos Community College (HCC) was founded 50 years ago as part of the City University of New York (CUNY), and is located in the South Bronx, the poorest congressional district in the country. HCC enrolls approximately 7,200 students, and more than half (5,070) are enrolled full time. Sixty-three percent of students reside in the Bronx, and many come from families who reside below the poverty line. Almost 67 percent of students identify as female, and the vast majority of students (81 percent) are 29 years old or younger, with 47 percent 21 years of age or younger. Students at Hostos are ethnically diverse. Nearly 60 percent identify as Hispanic, 21 percent as Black, and 18 percent as Other/Unknown. Three percent identify as Asian and less than two percent as White. The majority of first-year students are enrolled in developmental or remedial courses (Hostos Community College, Office of the President & Office of Institutional Research and Student Assessment, 2018). Hostos is categorized under the Hispanic-Serving Institutions (HSI) program authorized by Title V of the Higher Education Act of 1965 and has received grants as a Hispanic-serving institution under the Department’s Office of Postsecondary Education (Minority Institutions, n. d.). Las Competencias del Docente para Dictar Cursos en Línea en una Institución de Educación Superior en Puerto Rico. El propósito de este estudio cuantitativo fue determinar las competencias del docente en línea en una institución de educación superior ubicada en Puerto Rico desde la perspectiva del docente y del estudiante. Durante el año académico 2015-2016, en la se aplicó un cuestionario a los docentes para determinar sus necesidades en cuanto a formación en pedagogía virtual; más del 65% señaló que deseaba recibir capacitación en herramientas tecnológicas. En consecuencia, resalta la importancia y necesidad de formación de los docentes en línea para ofrecer una instrucción de calidad. Palabras Claves: Andragogía, Competencias, Competencias del docente virtual, Educación en línea, Educación superior. The transition from high school to college can be a frightening and challenging experience for many students. This process can be even worse for first-generation, immigrants, English language learners and other disadvantaged groups. To ease the transition and reduce attrition, higher education institutions have developed a variety of summer bridge programs and first-year seminar models. Although both interventions have been widely promoted, not many studies have focused on the impact of a combined summer bridge program and a first-year seminar on the same group of students. 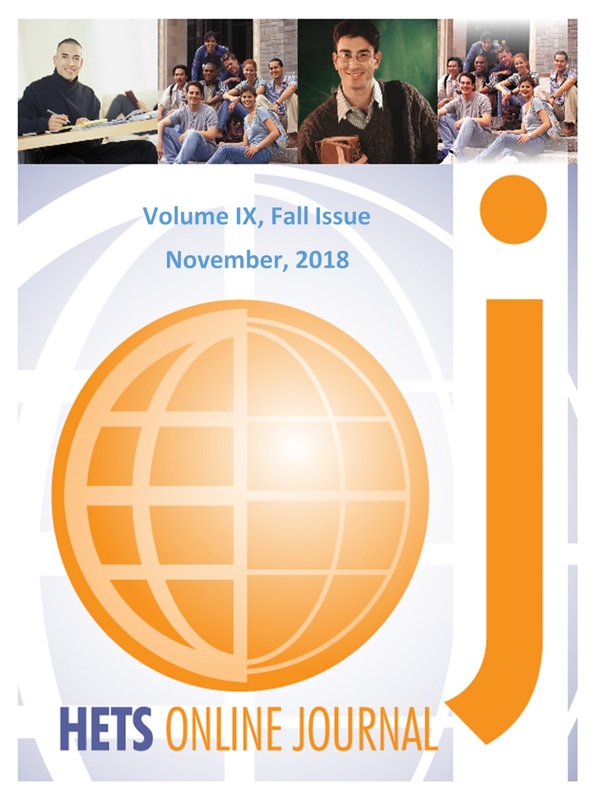 This paper will describe John Jay College’s Search for Education, Elevation and Knowledge (SEEK) innovative summer bridge program and first year seminar course and how they have increased first year student retention and success. According to research, some of the major barriers to college success for at risk populations are lack of self-confidence, inappropriate expectations or knowledge about college environment, lack of connection to the college community or external community, lack of early validation within the college environment, family members who do not understand the goals of college and not involving faculty in summer bridge and the transition process (Kezar, 2000). For decades summer bridge programs and first year seminar courses have been designed by many higher education institutions to assist incoming college students’ transition to college, mitigate the sense of fear of the unknown, increase persistence and address some of the other barriers to college success (Sabian, 2014). Recognizing that college completion remains a challenge, it is, therefore, imperative for these programs to be evaluated to determine their effectiveness in contributing to the success of at-risk student subgroups (Swanson, Vaughan, & Wilkinson, 2017; Douglas and Attewell, 2014).